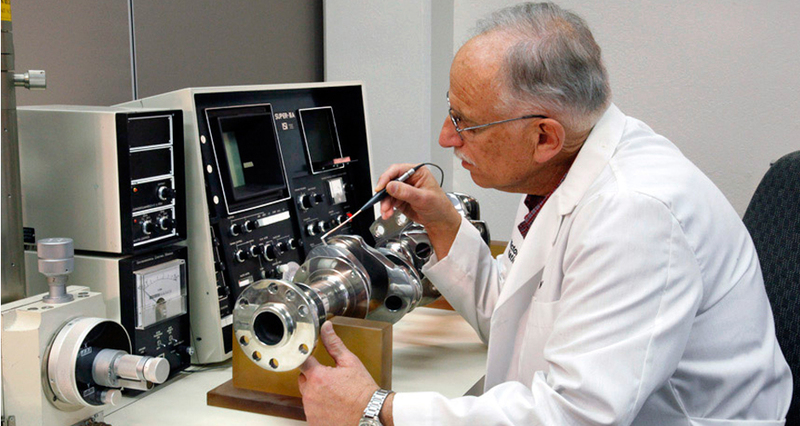 Engine electrically conductive parts are tested using an electromagnetic induction process. This process is very effective especially on aluminum castings such as crankcases and housings. The advantage of this method is that it can detect fractures or porosity problems beneath the surface of the material that are not detectable by surface dye penetrant inspection techniques. 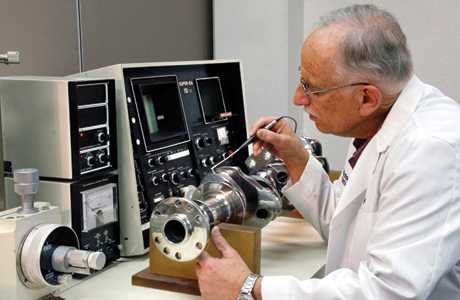 Eddy current uses alternating electrical current flowing through a coil at a chosen frequency and generates a magnetic field around a coil or probe. When the coil is placed next to a conductive material, eddy current is included in the material. If a flaw in the conductive material disturbs the eddy current circulation such as a crack or porosity problem, the magnetic coupling with the probe is changed and a defect signal can be read by measuring the coil impedance variation. 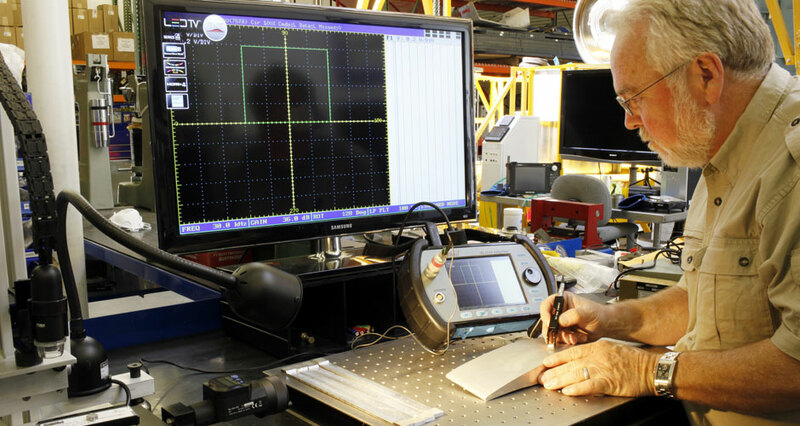 This process is an advanced parts inspection procedure and can detect hidden flaws in materials before they reveal themselves by structural failure. 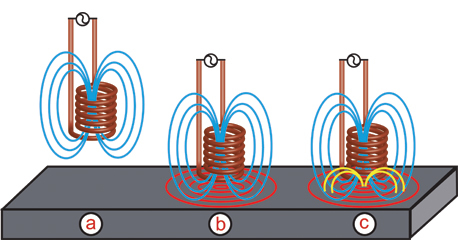 ( a ) The alternating current flowing through the coil at a chosen frequency generates a magnetic field around the coil. ( b ) When the coil is placed close to an electrically conductive material, eddy current is included in the material. ( c ) If a flaw in the conductive material disturbs the eddy current circulation, the magnetic coupling with the probe is changed and a defect signal can be read by measuring the coil impedance variation.